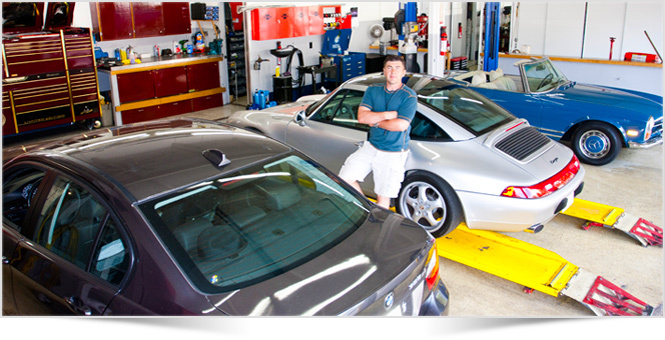 German Tech Auto specializes in sales and service of BMW, Mercedes, Volkswagen, Volvo & Porsche. Family owned and operated with over 90 years of combined experience, German Tech Auto Repair & Sales is the community’s foremost foreign car repair specialists. In addition to expert German auto repair, we offer an exceptional selection of fine pre-owned and thoroughly inspected vehicles. German Tech of Thousand Oaks has a knowledgeable service staff, and is ideally located across from the Civic Arts Plaza and The Lakes at Thousand Oaks. Waiting for your car to be serviced is much more enjoyable with a variety of shops and restaurants directly across the street. Give us a try – we promise you will not be disappointed!